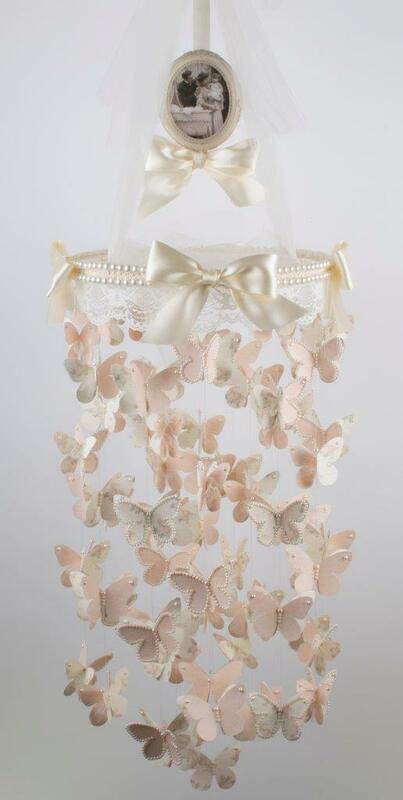 The soft and lovely hues of Small Roses worked beautifully for this butterfly mobile that I made in anticipation of a new granddaughter that will be born in July. 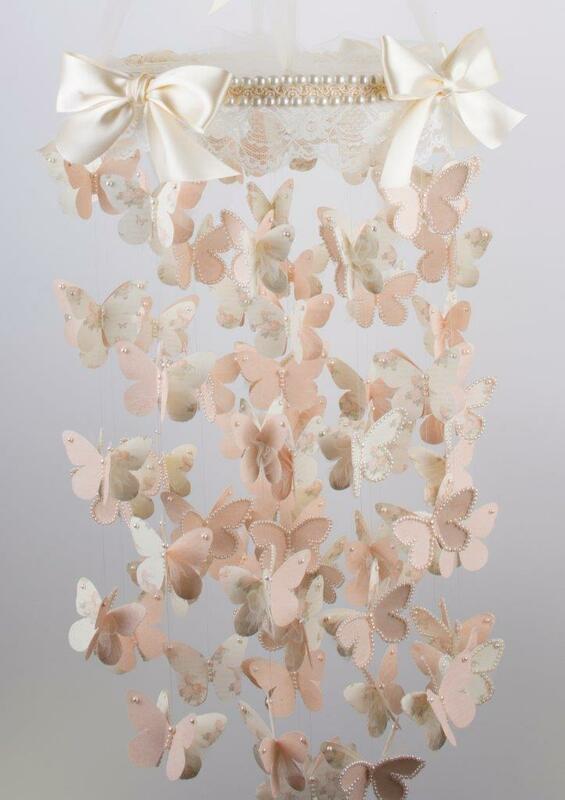 I cut 160 butterflies and paired them together with tulle in between the wings. The top of the mobile features a framed vintage photo from the tinted collection of From Grandma’s Attic that matches perfectly. It is such a joy to make projects with Pion Design papers! My god Tara, this is the second project I see from you that’s really amazing. Soft tones, subtile details; just breathtaking!! I hope to see more!! 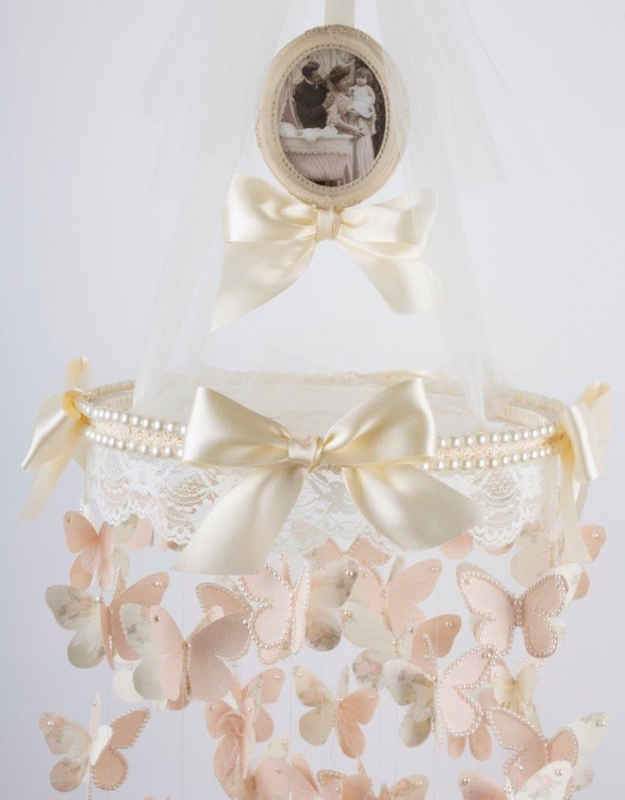 Hi Nikki P – for this project, I used strands of pearls as well as individual ones.